Got a preschooler at home? 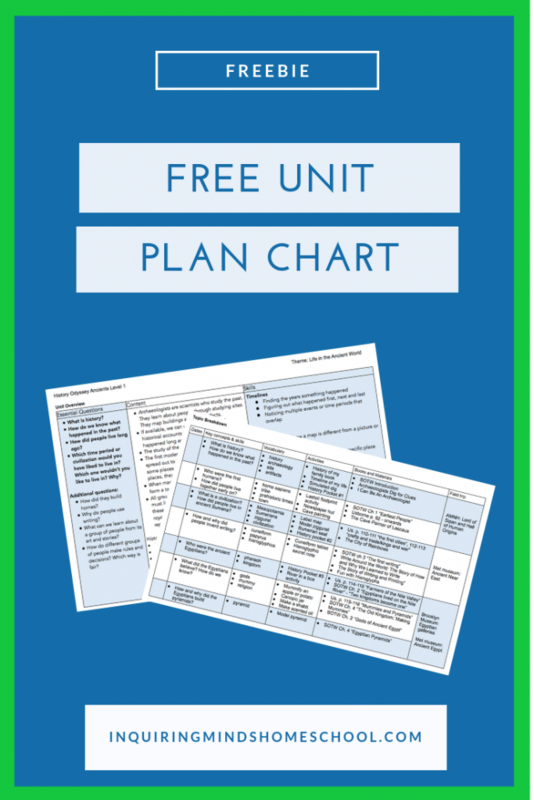 Wondering whether to start doing phonics or sight words? Waiting to click “Add to cart” on those early readers and workbooks? Or maybe you’re worried about pushing too much, causing your child to hate reading forever? Should I be teaching reading in my homeschool preschool, you ask? Read on! This is Part 1, which explains what reading skills are and which ones are appropriate to work on for this age group. Part 2 will delve into my recommendations for the best books, apps and games! 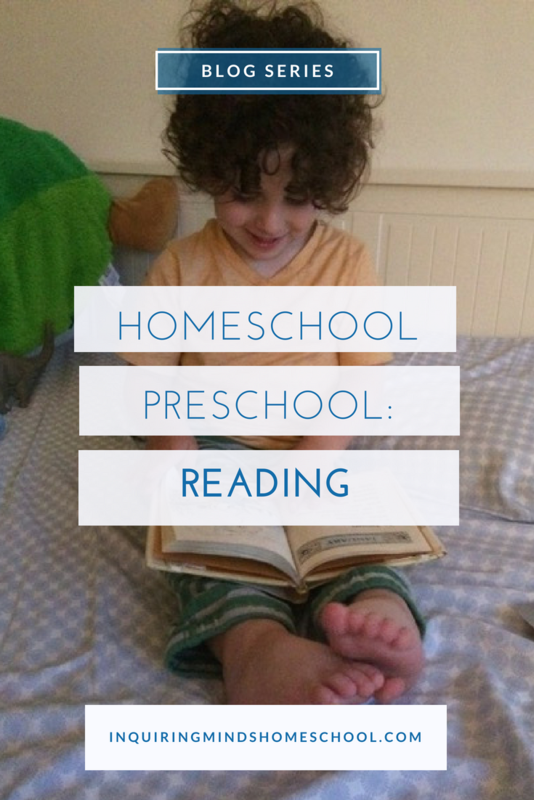 Welcome to the Homeschooling Preschool series! 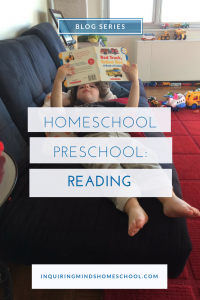 This post will talk about reading with your preschooler – how to nourish a love of books and language, and gently introduce beginning pre-reading skills. Stay tuned for our other posts about math, science, social studies, music, foreign language, and art! Before we can start talking about teaching our little ones about reading, we should first define what it is! Understanding print conventions – The first step in becoming a reader is to learn what print is all about. Learning that, in English, we start at the lefthand corner of the page. Starting a book at the first page and then turning the page to move onto the next. Distinguishing letters from other squiggly shapes and symbols, like numerals. When you start breaking it down, there’s a LOT to learn! Decoding – Being able to see words on the page, and sound out what they say. People who teach phonics refer to “breaking the code” when a child learns how to interpret marks on the page as spoken speech. The upper grade skills in this area, which involve multi-syllabic words and Greek and Latin roots, are called “word attack”. My older students appreciate that! Sight word recognition – Knowing words that can’t be sounded out (like “was” and thought”). This gets taught as part of decoding, but in some ways it is a separate skill. Most of us do this so effortlessly that we can’t help ourselves – we read even when it hurts our performance, like in the classic Stroop test from your freshman psychology class. Over time, words you once had to sound out, but have encountered over and over, can become sight words as well. Comprehension – Understanding what you’ve read. This includes having a rich vocabulary, understanding complex sentences and passages, learning about different genres, “reading between the lines”, etc. In other words, the entire point of reading! Fluency – being able to read quickly and effortlessly. Non-fluent reading sounds like an accidental William Shatner impression. More importantly, it interferes with comprehension. This is because it doesn’t sound like real language, and because the reader is expending all efforts on sounding out the text. This hogs working memory, with little cognitive power left over for comprehension. Out of all these skills, the one that people most often focus on is decoding. We think it’s really “reading” only when they can pick up a book and start rattling off the words independently. Some kids can actually do this during the preschool years – sometimes without understanding anything they’re reading! But there’s no evidence that early decoding, all by itself, is a predictor of being a good reader later on! Early childhood is about having experiences and then making meaning. Before kids can learn to decode, they need to understand that there IS a code. And know what the code represents! We need to show them WHY we are going to be devoting so much time to reading, and what skilled reading actually looks and sounds like. The skills we can work on in early childhood are comprehension related, first and foremost. At this age, the skills kids learn are as much about spoken language as they are about written language. But if they can’t do the skill through speaking and listening, it’s not likely to be easier to learn it through reading and writing. During the preschool years, we can also work on print conventions. We can expose our kids to what books are and how readers use them. Raising a successful reader first involves making reading an integral part of family life. For preschoolers, this is simple. Whatever they see people around them doing is what they think is normal and desired. They will try to imitate anything that they see their parents and other trusted adults (and older children) doing. Have conversations using rich vocabulary. With a young child or several children running around, it might seem like you don’t have time to read for pleasure. But if your kids never see you reading, they might not realize how much you value it. So let your kids see you pick up books, even if you are only reading a few sentences or paragraphs at a time! Many of us read on Kindles or tablets these days, so it might not be clear to your child what you’re reading and why. Are you skimming the news, posting on social media, or reading this website (ahem)? If your child can’t see what you’re doing on your screen, you’ll want to explicitly share it. But if you can get physical copies of books from the library, so much the better. Then your child will see evidence of reading all around. Reading to children is powerful. Not only are you modeling what fluent reading looks and sounds like, but you’re exposing your kids to more varied vocabulary and complex sentences. One of the main tasks of early childhood is to learn lots of new words and get really fluent in the language(s) spoken in society. And reading bumps that up to a whole new level! In the great green room there was a telephone, and a red balloon, and a picture of a cow jumping over the moon. That’s a 23 word sentence. And I read that to my infant. Some of the best children’s books do have simple language. The complexity might come in in other ways – characters’ relationships with one another, strong emotions, exploring the world in interesting ways, or captivating pictures. We’ve already mentioned discussing books and reading with kids – but what about just talking? Kids are wired to learn the sounds and vocabulary of their language(s) through social interaction. It’s helpful both to talk directly WITH them and in front of them. A lot of reading comprehension is applying background knowledge, and everyday chatting with grown ups is a great way to build background knowledge! Kids’ books (and songs, for that matter) rely heavily on rhyming and “playing” with language. And there are good reasons for that! Playing games with the sounds of words builds up phonemic awareness. Phonemic awareness is a fancy way of saying that your child learns to hear all the sounds in the English language, and can do things with those sounds. Hearing and changing the sounds in the middle of a word is an intermediate skill. To start off, I’d recommend doing simple rhymes in which the end of the word stays the same, and one sound at the beginning changes (i.e. run, fun, sun, bun, etc.) Later on, this will become the basis for beginning spelling with word families and word endings – for now, it’s just having fun with the way words sound. If your child is already good at rhyming, try changing other parts of the word. For example, what if “bet” ended in D instead? Then it would be “bed”! Now change the D to an L… that would say “bell”! Remember, the goal of preschool reading is to help your child LOVE language, reading, and books! 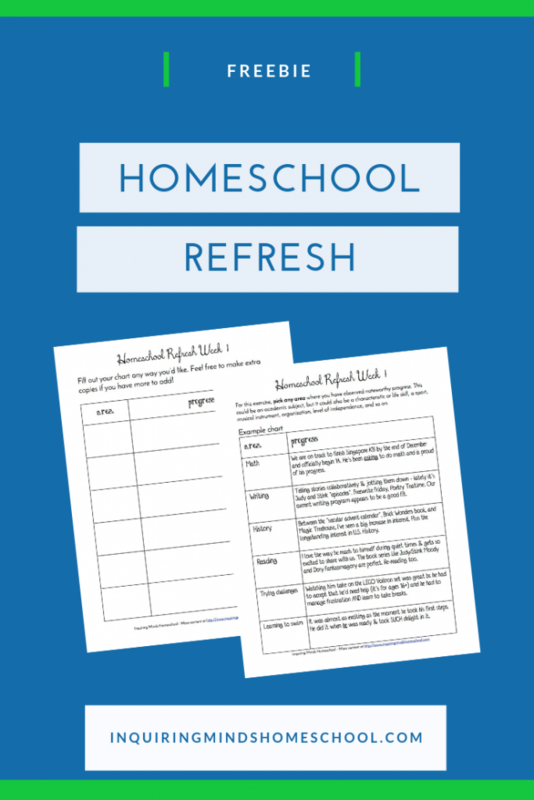 What pre-reading skills are you already working on in your homeschool? Leave a comment below!